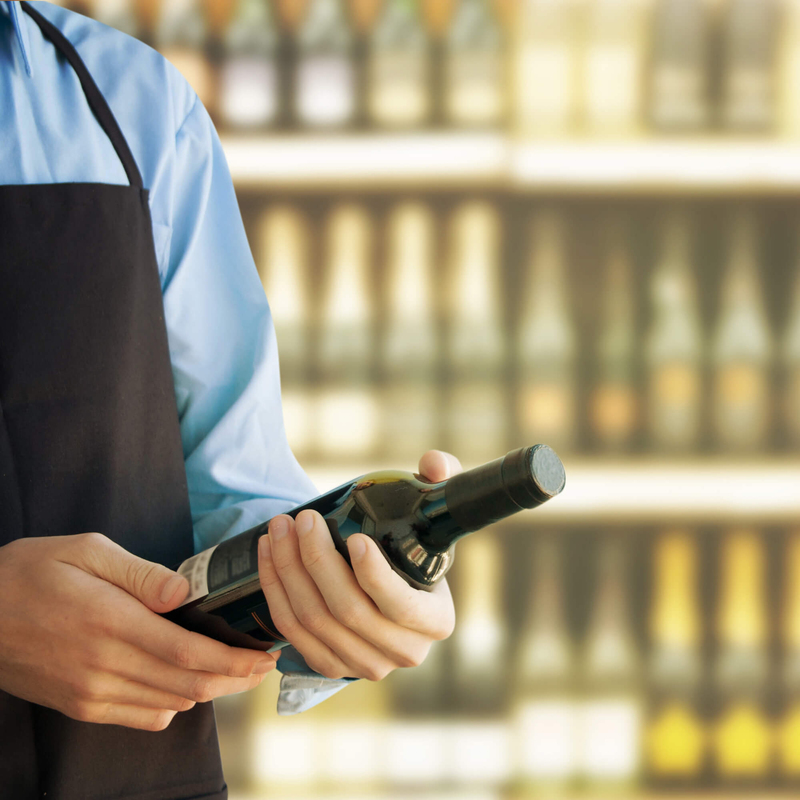 A liquor store’s main concerns are fast checkout, inventory control and age verification. PC America's Cash Register Express™ (CRE) helps address these concerns by introducing various tools that help a liquor store ring up a customer speedily, track inventory and ensure cashiers are checking a customer’s ID upon purchase. Fast Checkout: CRE has the fastest checkout available. Items can be rung up by simply scanning bar codes; specific products that don’t have a bar code, such as cork screws by the register, can be added to the transaction by simply touching a button for that item on the screen. Sale pricing and any applicable taxes will automatically be calculated and displayed in a real-time running total. Taking payment from the customer is just as fast. Cash amounts can be quickly typed in, with hot keys for common dollar amounts. If the customer is paying by credit or debit card, the cashier simply swipes the card and it is processed in as little as two seconds. Inventory Control: The CRE liquor point of sale system includes integrated, robust inventory tracking to help a business owner track stock levels, best and worst selling products, theft and overall inventory movement. Each item that gets sold will be automatically deducted from the store’s inventory stock levels. Additional inventory management features such as purchase orders, automated stock replenishment, mix/max levels, back orders, direct store and deliveries are all standard features within the Cash Register Express POS system. Supplement your point of sale system and make managing inventory easier by adding on Pocket Inventory mobile inventory tracking software. With Pocket Inventory you can track inventory, process deliveries, and create purchase orders away from the counter. Age Verification: Age verification capabilities are built into the liquor store point of sale system with the use of a specialized bar code scanner (the Honeywell Focus or Genesis scanners with easy DL.) Specific items can be marked as age sensitive products that require the cashier to check the ID. As soon as the item is scanned, the cashier is prompted to scan the customer’s license, at which point the POS system will verify if the customer is old enough to purchase the product. A typical point of sale system for a liquor store should include a touch-screen computer, cash drawer, customer display, receipt printer and age verification bar code scanner. These capabilities, combined with detailed reporting, customer tracking with loyalty plans, and dozens of other features, make Cash Register Express the ideal Point-of-Sale solution for liquor stores. Scan driver’s license to confirm customer is 21 or older to avoid fines. With Handheld Pocket Inventory you can track inventory, process deliveries, and create purchase orders away from the counter. Business managers can easily track employees' hours, view and modify their time punches and calculate tips or commissions.. Mix 'N Match Pricing is a customer loyalty feature that allows you to set up price groups so that customers can automatically receive a discount for purchasing a mixture of different items. A discount can be in the form of a percentage, dollar amount or bulk price. Mix 'N Match groups can have a start and end date so you can set up sales in advance and have them activate automatically. For each inventory item, you can assign a vendor, set a reorder level, and a reorder quantity. Additionally, our purchase order system enables retailers to order items individually or by the case. You can generate a brand new purchase order by narrowing your search of items to a particular vendor. Or, you can just add all the items that have fallen below the reorder level at a touch of a button. Every liquor store is different, so it's our goal to work closely with you to customize a solution to meet your needs. Please contact one of our POS experts and start building your system today!